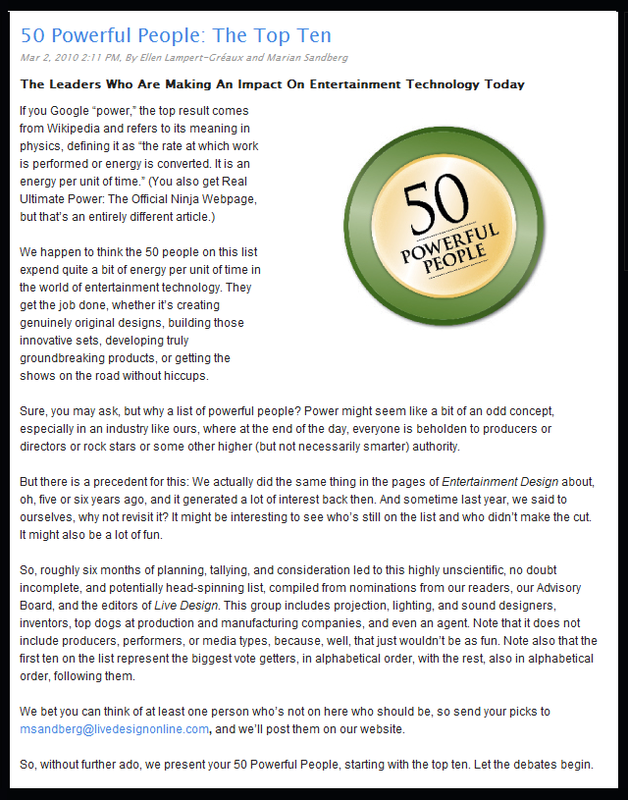 I am humbled and pleased to announce that I have been included in a list of “50Powerful People” in the field of entertainment technology by LiveDesign Magazine. 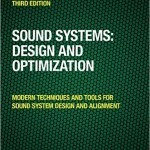 It is a HUGE honor for me to be included in this list with the likes of Abe Jacob, Jonathan Deans, Mark Holden, John Meyer, Scott Lehrer, Tom Clark, Mark Menard, Nevin Steinberg in the audio filed as well as the big names of lighting, staging and projection. 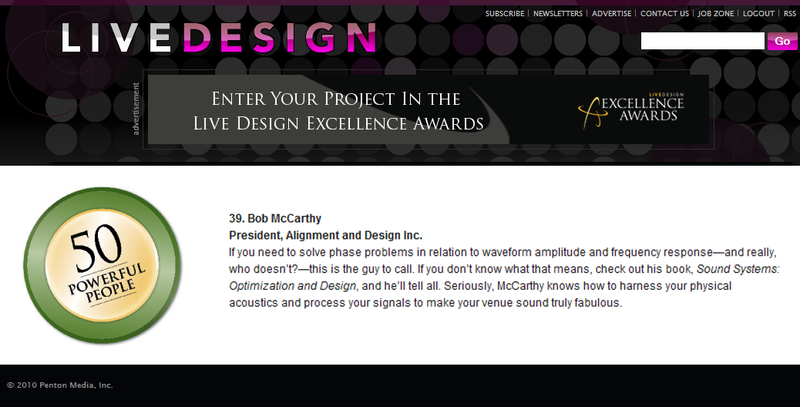 My thanks go out to the folks at LiveDesign and I hope I can live up to this award. As I told you in Montabauer: You are my mentor. I am looking forward to coming to your school in May. All these years I have come to New York and never seen Brooklyn – this time I will!